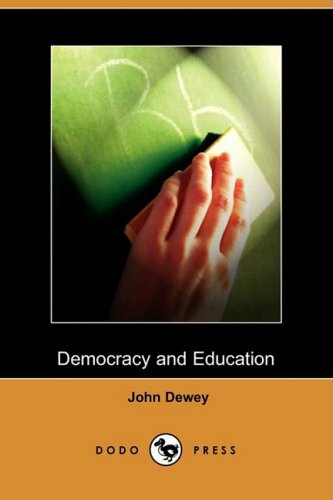 Amazon.com description: Product Description: Professor John Dewey (1859-1952) was an American philosopher, psychologist, and educational reformer, whose thoughts and ideas have been greatly influential in the United States and around the world. He, along with Charles Sanders Peirce and William James, is recognized as one of the founders of the philosophical school of Pragmatism. He is also known as the father of functional psychology; he was a leading representative of the progressive movement in U. S. schooling during the first half of the 20th century. Along with the historian Charles Beard, economists Thorstein Veblen and James Harvey Robinson, Dewey is one of the founders of The New School for Social Research. Dewey's most significant writings were The Reflex Arc Concept in Psychology (1896), a critique of a standard psychological concept and the basis of all his further work; Human Nature and Conduct (1922), a study of the role of habit in human behaviour; The Public and its Problems (1927), a defense of democracy; Experience and Nature (1925), Dewey's most "metaphysical" statement; Art as Experience (1934), Dewey's major work on aesthetics and A Common Faith (1934), a humanistic study of religion.